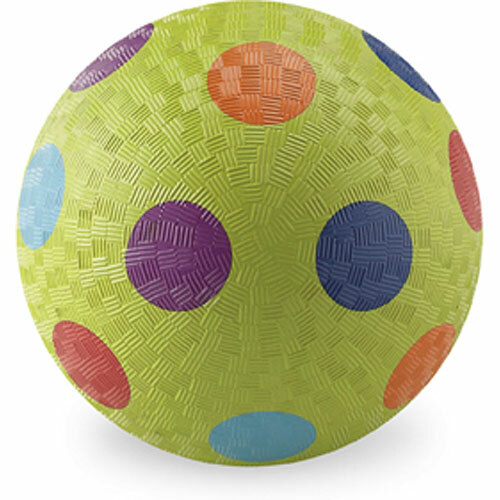 Heavy duty, textured ball is great for indoor or outdoor play. Bright bold colors. Ball is 5" diameter. Made of rubber and contains no PVC, latex or vinyl. Crocodile Creek products conform to all of the appropriate safety standards.